Hello everyone! I am back today with another Simon Says Stamp STAMPtember® exclusive set and inspiration for you! This latest set, Tie One On is created in collaboration with Honey Bee Stamps and I was really excited I had the time to create a card with it. 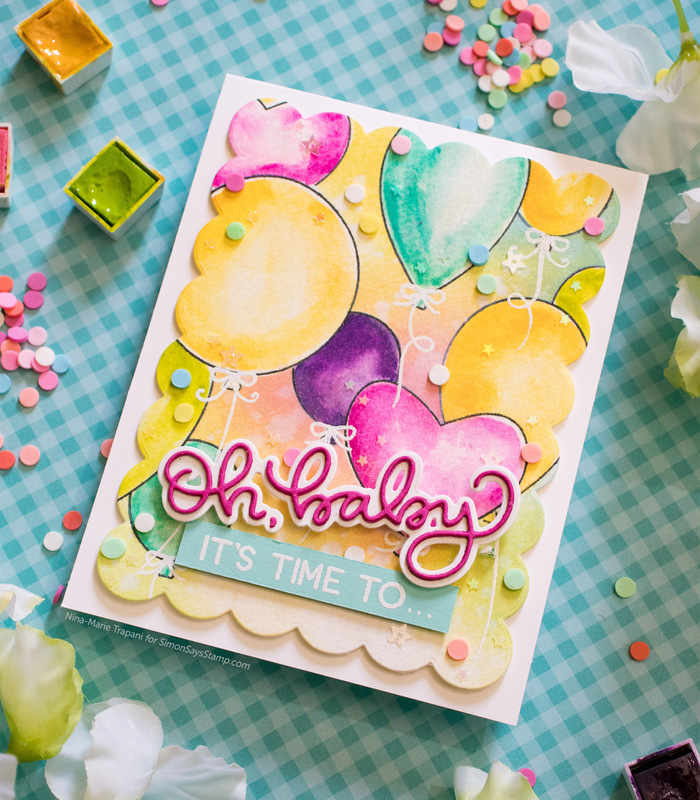 Your first thought might be to make a birthday card using these awesome balloons, but I decided to stretch it a bit and design a colorful baby card! 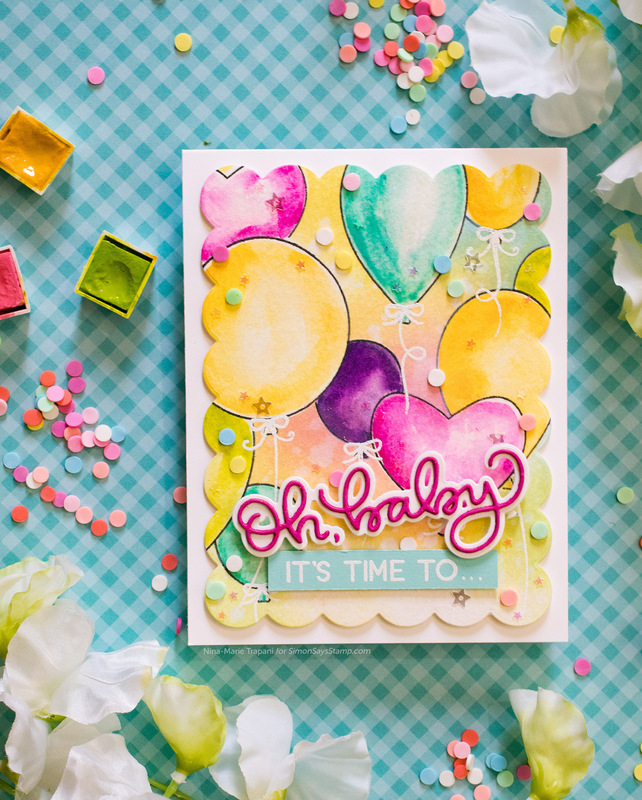 To create this card, I started by stamping the balloons from the Tie One On stamp set onto watercolor paper with Intense Black ink. 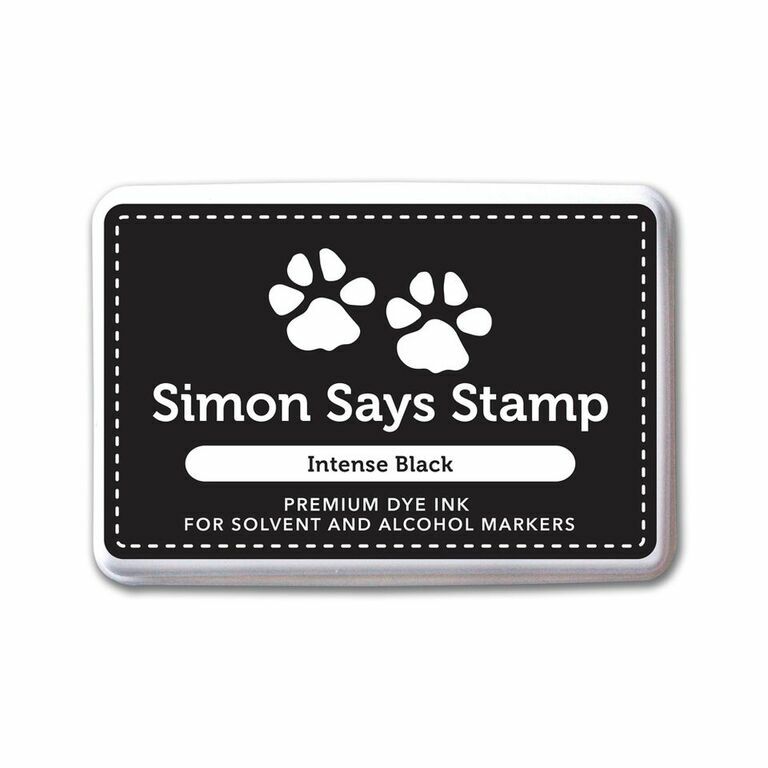 The black ink is perfect for stamping images you plan on watercoloring, as it is both waterproof and safe for using with Copics. In order to have the balloons appear as if there are some behind and in front of others, I did a bit of masking using Post It Tape. This tape has a sticky-note like backing, which means it won’t tear your paper when the mask it removed. 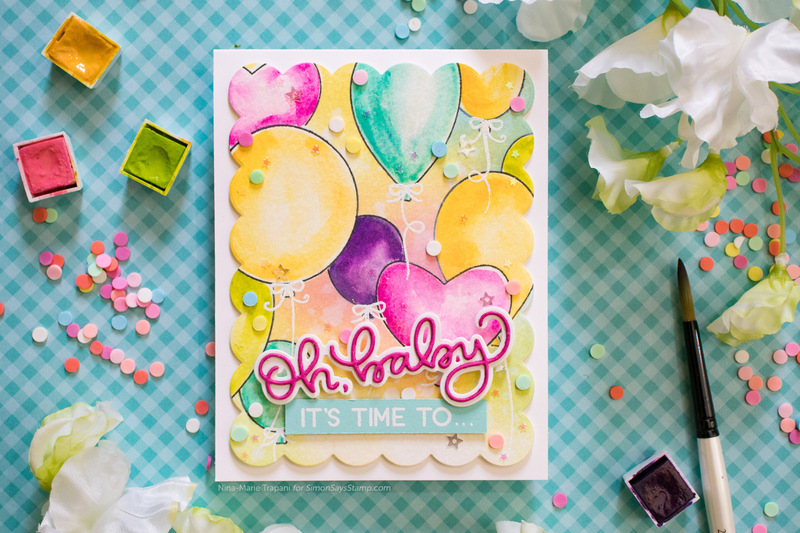 Once the balloons were stamped, I watercolored each one loosely with Altenew Watercolors. I love reaching for this palette when I want a simple range of bright colors. For more complex coloring, I prefer to work with my custom mix of Prima and Daniel Smith watercolors. After the watercoloring was finished, I reapplied the masks and ink blended a soft mix of Twisted Citron, Tumbled Glass, Worn Lipstick and Squeezed Lemonade Distress Oxide inks. I added splatters with water (while the masks were still in place). Upon removing the masks once more, I also sprayed a light mist of Tsukineko Frost Shimmer Spritz over the entire panel, creating a subtle sparkle. 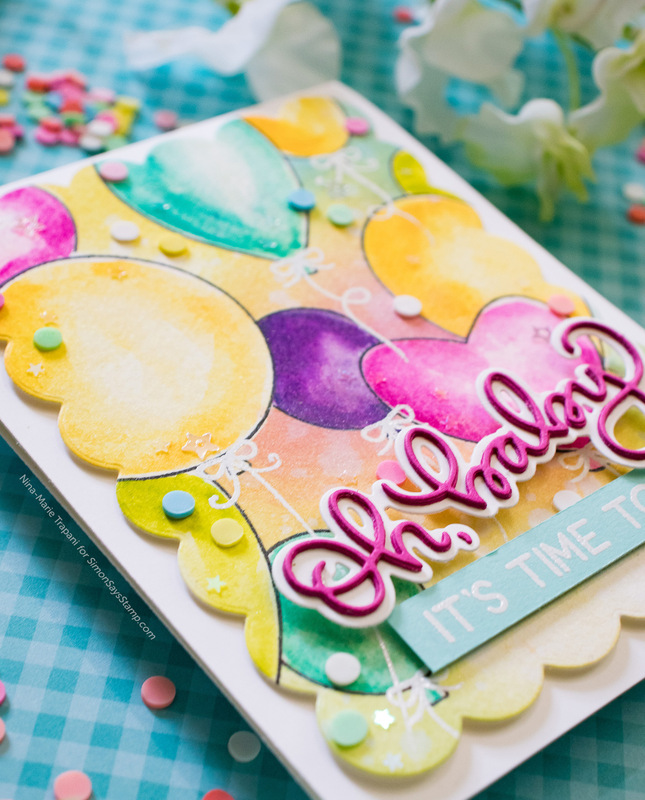 Around the scene of balloons, I added lots of “confetti” using a mix of these embellishments: Mini Iridescent Star confetti, Clear Star sequins, and Polka Dot Parade Sprinkles. The effect is so pretty and screams “party”! 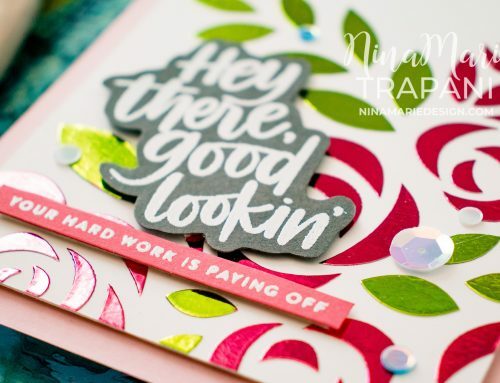 The sentiments on the front of the card are a mix of a white heat embossed greeting on Mermaid cardstock (using the Tie One On stamp set), as well as a die cut greeting from Simon’s Oh Baby set. 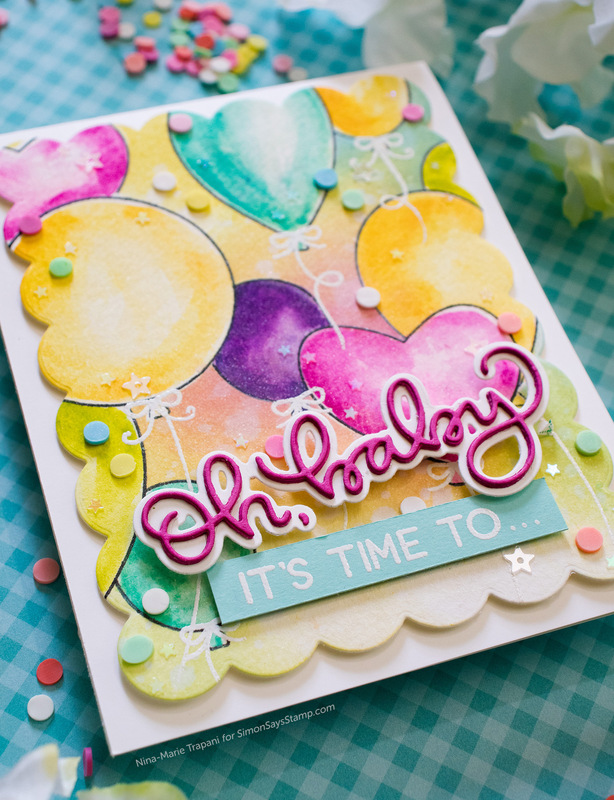 The words “oh, baby” are cut with Doll Pink and White cardstocks. 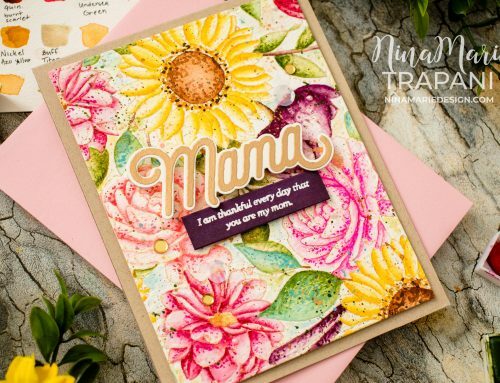 There was one last step in creating this colorful baby card, and that was completing the greeting on the front, by placing something on the inside! Inside I added white embossed sentiments from both the Tie One On and Tiny Words stamp sets. I also added more confetti on the inside too. 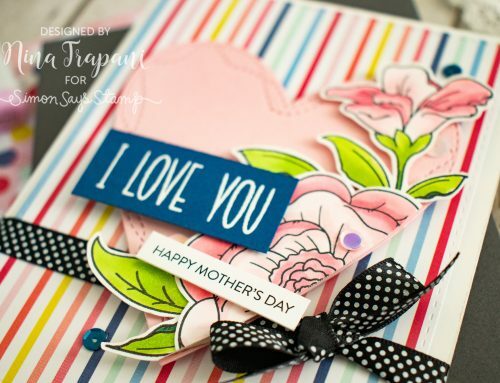 Besides the fact that this card is full of color (which I adore), it also has an extra-special purpose! One of my sweet friends is expecting a little girl this winter, and I wanted to send her a card and gift celebrating the sweet bundle of joy she and her husband are expecting! Because I am including this with a gift, I am not worried about all the bulk on it. 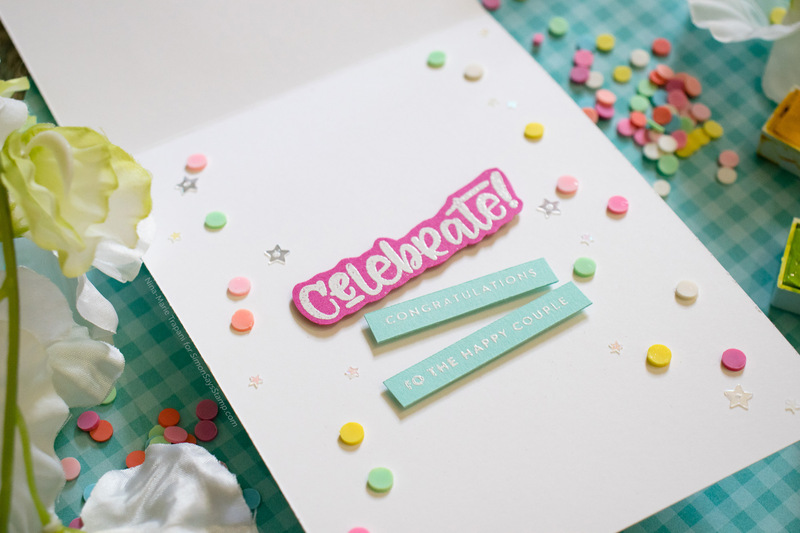 However, you could skip adding the confetti and popped-up greetings on the inside to make it less dimensional and easier to mail. I really hope you enjoyed seeing this inspiration using the Tie One On STAMPtember® exclusive from Honey Bee Stamps and Simon Says Stamp! If you love this set, be sure to grab it while supplies last, as these collaboration sets are limited editions. 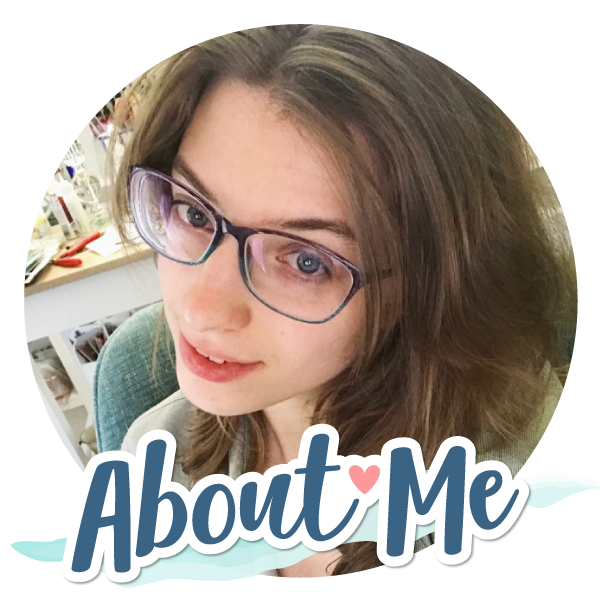 Thank you so much for visiting with me today; I will be back again very soon with more inspiration for you! Such a sweet baby card. Beautiful colours that are so cheery. Your friend will love this! Nina, this is too sweet for words! I am sure you friend will love this when she receives it! So super sweet and adorable! !